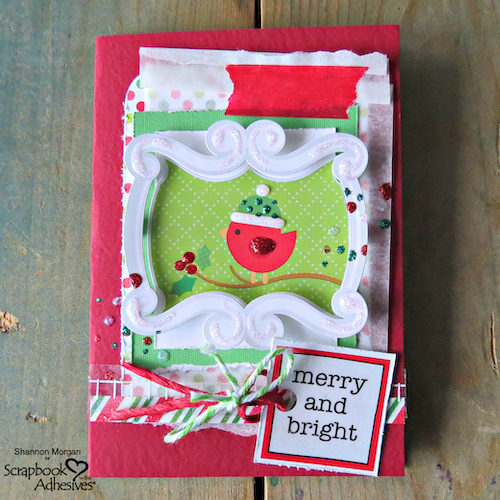 Christmas cards in a snap?!? Wait, what? 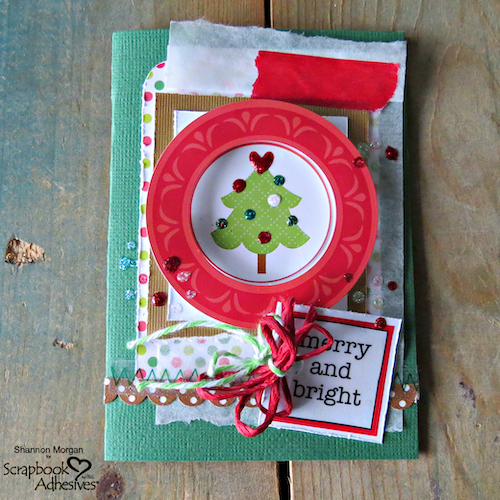 That's right, I said Christmas cards in a snap.Using some cute papers and embellishments, (and of course Scrapbook Adhesives by 3L!) 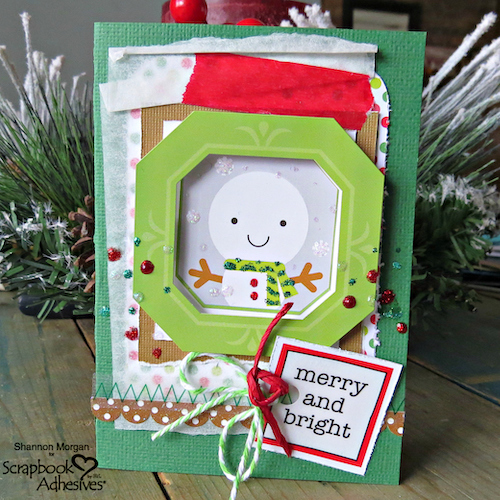 I am going to show you how to create a quick set of 4 cards here. I think by following this simple step by step, you can kick out a bunch of cards, just in time for mailing! To get started, I began with gathering supplies. I gathered cardstock, some patterned paper, stickers, twine and adhesives. The cardstock bases measure 3.5"X5". The key with most of my cards is they build off layers. The cardstock base is the beginning layer. I created a step by step photo for you to help with easy assembly. The next layer that I added, is tracing paper, clearly, it adds such a delicate touch. It can be perfectly imperfect and lend a layer that becomes ethereal. By adding another layer of cardstock I am helping in the visual interest of these cards, certainly lending to the fun feel of the card set. Step 4? I added a cute little border to the card. I did this with some coordinating stickers, I added an adhesive dot at both ends. Adhesive Dots Mediumwere the size I used to accomplish this step. After adding the border, I added an additional cardstock layer (white smooth cardstock). Using 3D Foam Squares, I am creating some much needed height to the frames pictured above. Not only did I use foam squares, I doubled them, I wanted to make sure those frames jumped off the card. Almost done, my cards are almost done! I will be adding a few little things, like the "merry and bright" sticker at the bottom, using adhesive dots to do so. Here are the cards in no particular order, thank you for letting me share them with you. 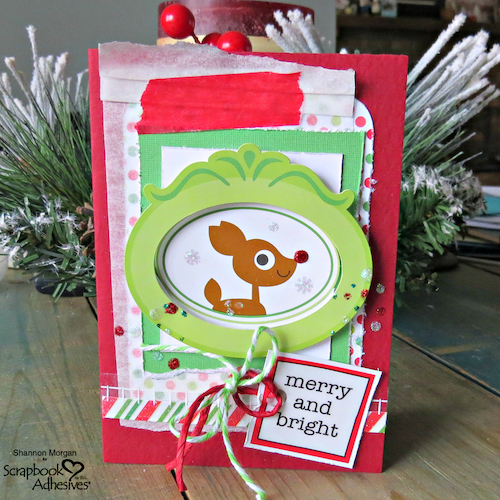 HOPE THIS INSPIRES YOU TO GET STARTED ON YOUR CHRISTMAS AND HOLIDAY PROJECTS!